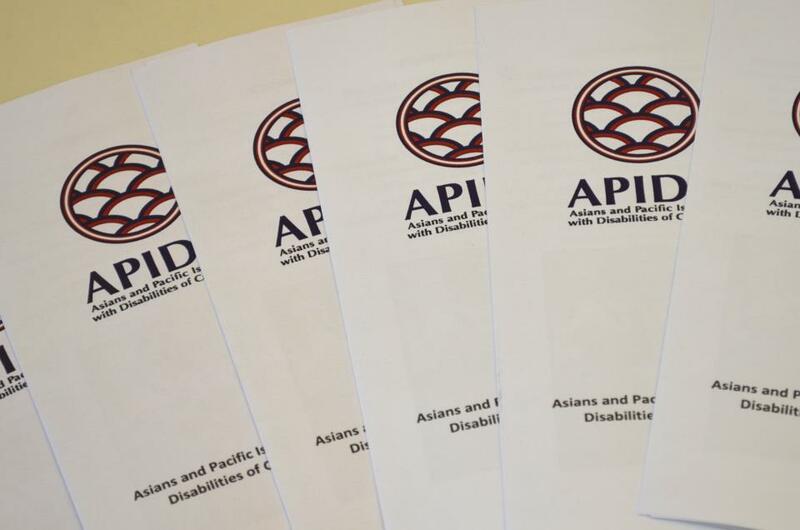 The U.S. Census estimated in 2000 that as many as 20% — or 1 in 5 — of Asian American & Pacific Islanders (AAPI) are living with some form of chronic disability, a number that may only have increased in the subsequent 14 years since this report was published. While the rates of AAPIs with disabilities mirror rates in the national population, rarely are AAPIs with disabilities visible either in AAPI advocacy or in disability rights advocacy. Asian & Pacific Islanders with Disabilities of California (APIDC) has roots as a grassroots California advocacy group that received federal non-profit status in 2008, and it remains the country’s only disability rights and education non-profit focused on the Asian American disabled community. According to Jean Lin, Outreach Coordinator for APIDC, APIDC originated in 1998 through the work of community activist and employment attorney Patty Kanaga. According to Lin, Kanaga, who was serving at the time on a committee appointed by the California Governor’s committee to address the employment of disabled persons, organized the state’s first conference to address the AAPI community with disabilities “after she realized that AAPI with disabilities are not addressed in any way”. Indeed, while attitudes are slowly changing, fear and intolerance towards the disabled still remains critically high within some Asian and Asian American cultures; notably, in one city in Southern China, the majority of babies abandoned in state-run safe zones suffer from cerebral palsy or some other form of congenital disease. Lin also points out that within the disabled community, AAPIs are also marginalized. “We are treated inadequately within the AAPI community because, of course, having a disability is seen as being helpless… and people are uncomfortable around you. And within the disability community, people see AAPIs with disabilities as being shy. The disability community is predominantly White middle-class people with disabilities who are loud and opinionated, and who know how to fight for their equal rights.” Lin goes on to suggest that stereotypes of the soft-spoken Asian American remain pervasive in the mainstream disability rights advocacy groups. To learn more about APIDC and to contribute to the fight to improve the visibility of AAPIs with disabilities, please check out APIDC’s Facebook page or follow them on Twitter (@APIDC).